This is where the who's who of Healthcare IT convene - a collaboration toward a more secure & connected system. IT starts here. Private events that have attendees engaged in thought leading discussions as they discuss, debate and challenge the future of Healthcare IT. As the adoption of mobility and big data has been hindered by concerns of security and compliance we gather thought-leaders to problem solve within the Office of the CIO. 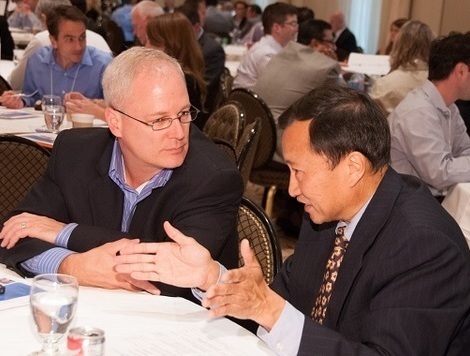 CIOhealth dinners are private events that capture top Healthcare IT executives whom are on the edge of innovation. From those structuring Big Data plans to those securing health systems in the midst of mobilizing workforces they gather at CIOhealth; an opportunity to compare & contrast directions whilst sharing those ever important lessons learned. The conversations starts here! 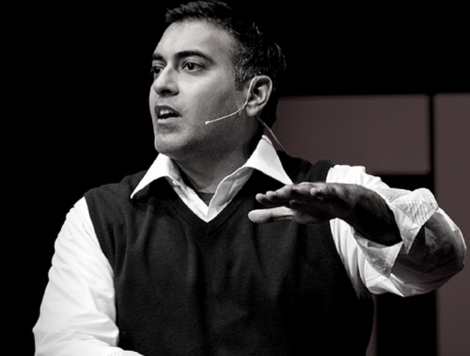 With over 20 years of hands-on experience, Dr. Gulati has earned an impeccable reputation for his ability to transform organizations – both big and small - to meet the future innovative demands of the health industry, and everything it touches. As a prolific speaker and upcoming author, he has been dubbed a physician ‘hooligan’, ‘hacker’ and ‘artist’ bringing a diverse vantage point to effect positive change around the world. Beyond the limits of the stage CIOhealth gets an audience engaged to discuss, debate and challenge innovation in Health as collaboration is our best asset in the revolution of an industry. Copyright © 2014 - 2016 CXOsync LLC. All rights reserved and other such important stuff.